When paying electricity and fuel bills, month after month, it’s hard not to wonder where all that energy goes! Finding answers to that question can help you trim energy payments over time. If you track expenditures or contact suppliers for records, you can add up your total household spending per year on energy—for electricity and for heating fuel (usually some combination of oil, propane, natural gas and wood). 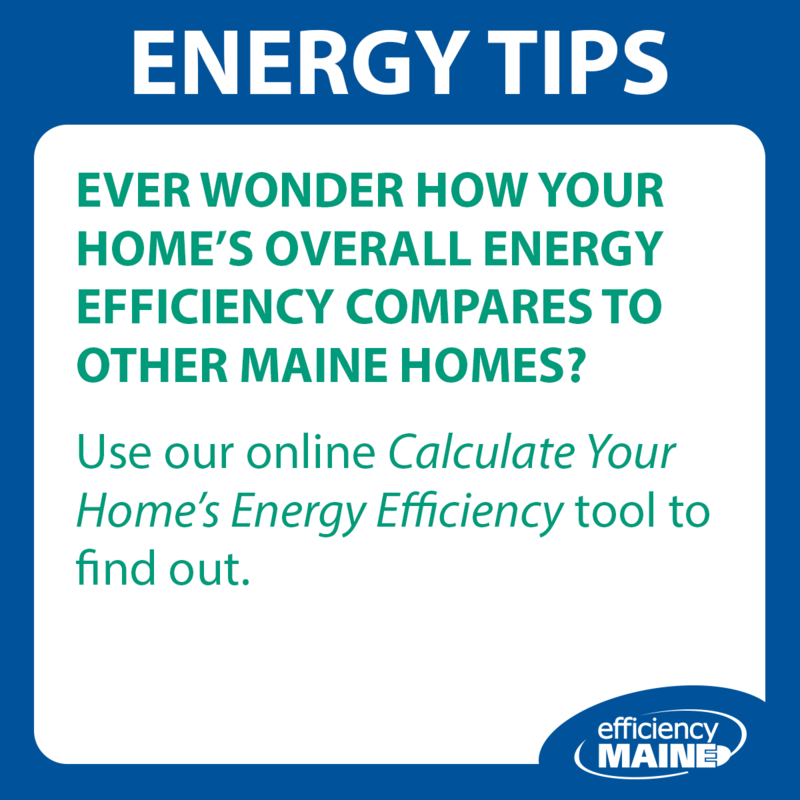 To compare your energy expenditures with those of similarly sized weatherized homes, try using Efficiency Maine’s calculator. To track how much electricity your appliances use, borrow a Kill-a-Watt monitor from your local library. For a faster snapshot, you can enter customized information into the Department of Energy’s Appliance and Home Electronics Use calculator. Calculators are useful tools for deciding what appliance upgrades might offer the greatest savings. Monitors and calculators can also help identify which devices draw “phantom energy” in standby mode—even when turned off—and are best controlled by power strips. But a customized assessment of your home is the best way to identify energy saving opportunities. For example, they can tell you if the shell of your home needs air sealing or more insulation. For that, you’ll need to schedule a home energy assessment in which a qualified energy advisor visits your house to locate air leaks, assess existing insulation, and more. If you need help locating a potential contractor, see Efficiency Maine’s online Vendor Locator and review the questions to ask vendors.